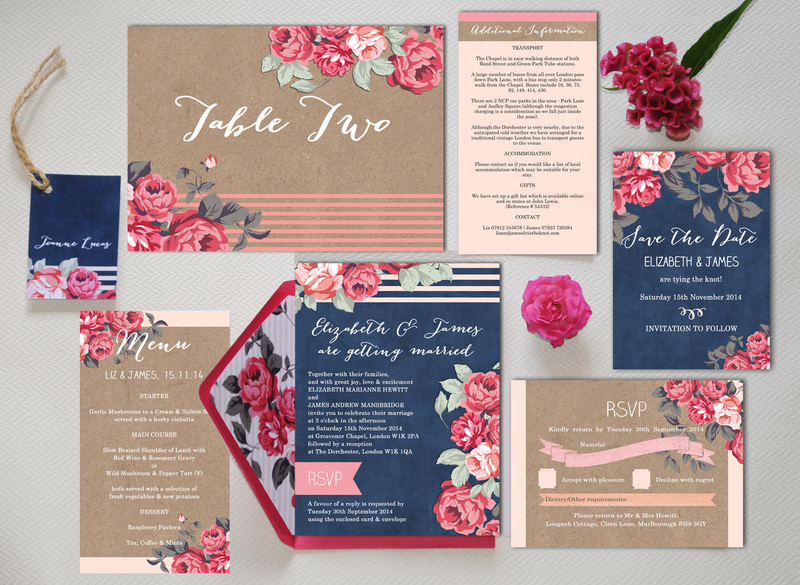 Beautiful wedding stationery sets the tone for your big day, but costs can quickly add up if you have lots of guests. Here are our top tips for cutting your stationery spend without sacrificing on style. 1) Consider printables. Stationery companies such as Hip Hip Hooray offer customers the opportunity to buy ‘Ready to Print‘ personalised stationery that you download and print yourself. There’s some extra hassle involved and you’ll need to do your research to get a good deal at a local printing company, but it’s a great way to get a designer look on a budget! Look to sites such as weddingchicks.com for free Save the Date cards, too. 2) Think about postage. Adding embellishments to your invites and including lots of information sheets in your envelopes can push you into large letter territory and make a big difference to your postage costs. This is especially likely with DIY invites if you’re building up lots of layers, so get them weighed before you go all out! 3) Get a wedding website. It’s free to set up a wordpress.com site to give guests details about your big day, and lots of places offer specific wedding website services where you can customise your design. You can add information about accommodation, maps and guest list details, and even have an online RSVP option rather than enclosing cards. 4) Sort your stationery in advance. By printing your invites with plenty of time to spare, you can save lots on postage by hand-delivering invites to guests you’re going to see in the run-up to the wedding. Ask parents to hand out invites to family friends, too – it can make a surprising difference to how much you spend on postage! 5) Limit your on-the-day details. Printed menus look beautiful, but it’s definitely not essential to have one per guest. Save by printing just one for each table and displaying on a stand or in a frame, or why not just write up your menu on a chalkboard? Same goes for orders of service – they’re lovely, but not essential if you’re trying to cut costs. What are your top tips for saving on wedding invites? Tell us in the comments section below!